Former Dead Letter Dept. frontman Rob Moir made his solo debut with Places to Die back in 2013, and now he's ready to explore new territory with his Adventure Handbook. The new LP is due out on August 28 through Underground Operations. The new material was inspired by a hectic two years of life on the road and hears the singer-songwriter falling back in love with American rock'n'roll and simple folk ballads. "An odd thing about long stretches on the road is this constant feeling that you've forgotten or left something behind," Moir said in a statement. "The instant rush of thinking you've misplaced your wallet and then finding it again, you experience that over and over no matter how organized you are. You also have the daily excitement of being in new places, having conversations with actual locals and watching your music spread; it's absolutely worth the strange things you put your body through." 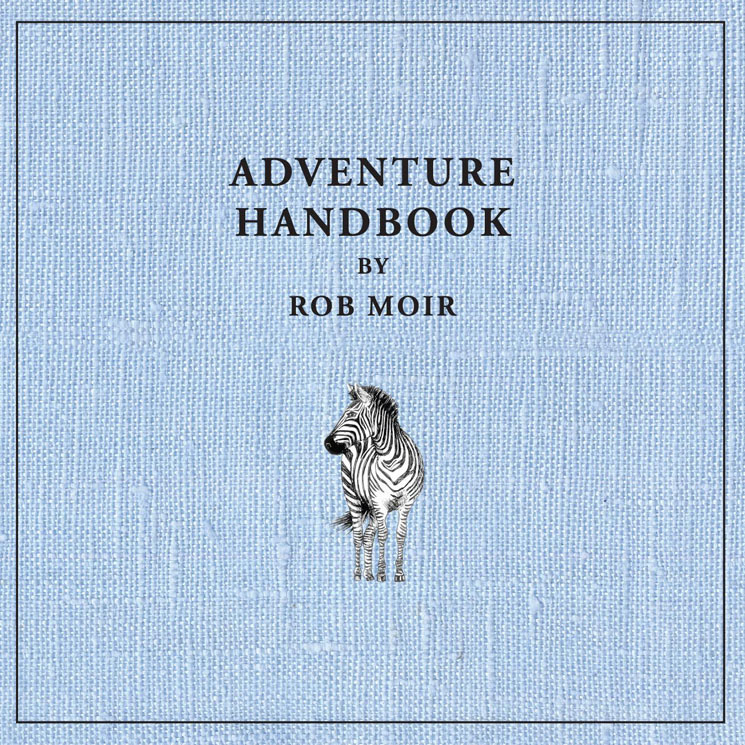 Adventure Handbook was recorded in late spring at Phase One Studios and the California Room in Moir's hometown of Toronto. In conjunction with the news of the forthcoming full- length, Moir has shared a new track called "Run For Your Life." Opening with earnest, heartfelt vocals atop acoustic strums, the soon explodes into a full-band effort, complete with driving drums, frantic acoustic guitar and even a horns section. It even features Moir's younger sister and local musician Yvonne Moir on baritone saxophone. Exclaim! has got the exclusive premiere, and you can scroll past the tracklisting and his upcoming Canadian tour dates to give it a listen. Beyond that, check out the freshly unveiled trailer for Moir's upcoming album in the player at the bottom of the page.